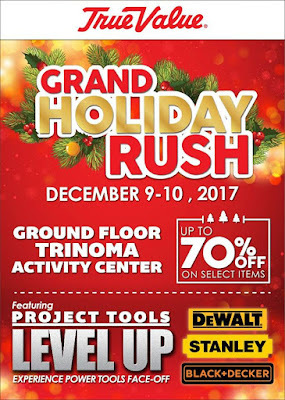 True Value’s Grand Holiday Rush SALE is coming to TriNoma! Check it out on December 9-10, 2017 at the Ground Floor TriNoma Activity Center. Get up to 70% discount on selected items! 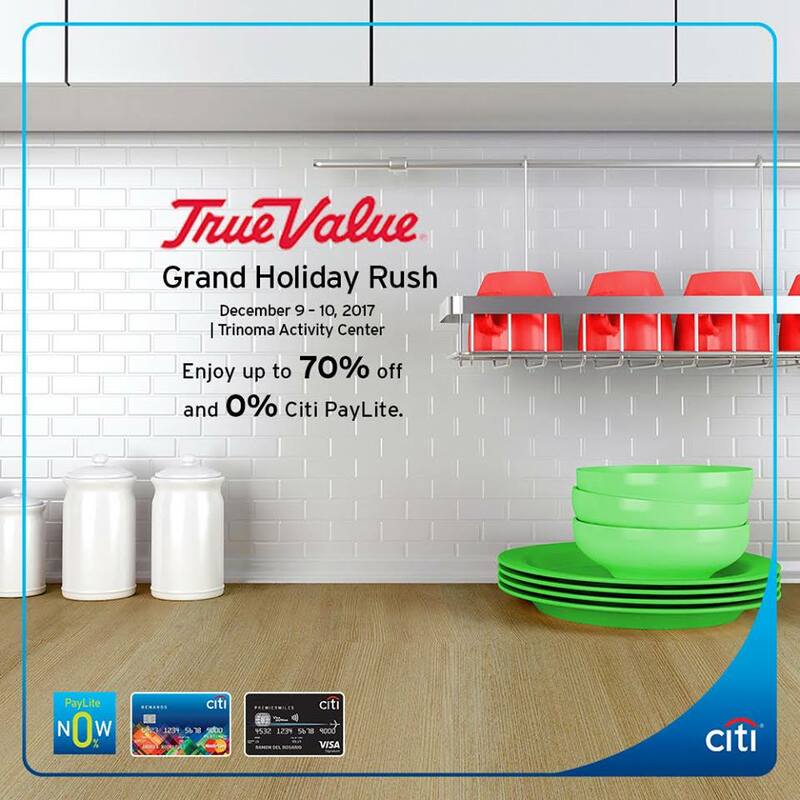 Plus, enjoy 0% Citi PayLite up to 12 months with your Citi credit card.